Before we dig into this rather lengthy tutorial, let me apologize. This is part three (see parts one and two) and it's taken me several months to finally write it, for two reasons: First, as the founder of the company, my presence and attention was needed elsewhere, and second, I wanted our website to run on this set up for a while, so that I was sure what I'll write is going to have good, reliable and performant outcome. Also, since we'll be using Google Cloud to deploy this solution, be warned that we will be spinning up a couple of relatively small virtual servers, which does come with a cost of a few dollars (for the duration of you running these servers to follow the tutorial), so make sure that you delete them all after we're done. 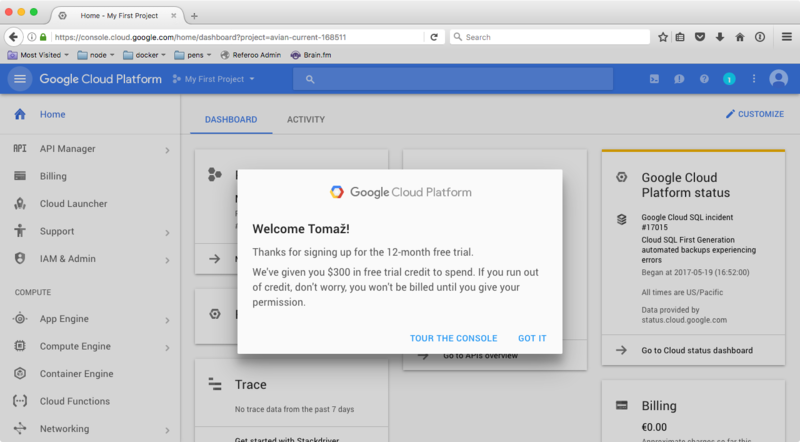 The good news is that if you never used Google Cloud before, you're given a $300 bonus by Google to try it out! Kubernetes, in short, is a container orchestration tool. That means it does all the heavy lifting to make sure our containers are running properly, destroys the unneeded ones or spins up new ones, makes sure that traffic routing is correct between them and a number of other, useful things, most of which need to be done manually in the traditional server administration world. 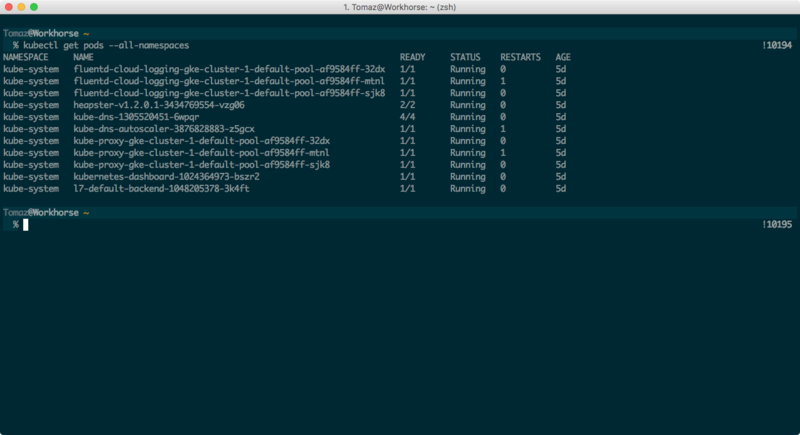 Why not Docker Swarm? Well first, because I have absolutely no experience with it, and second, because Kubernetes is becoming the market leader when it comes to container management. For a good reason too, since it's an open-source project by Google, a company that knows a thing or two about server technologies and hurdles they bring. deployment is how we control pods. Its meaning somewhat differs from the traditional meaning of the word, because it's not a process but rather a configuration snippet with which we define how many pods (also called replicas in this context) of a certain kind we need, how much resources we want to allocate to each and a slew of other responsibilities. services is how we expose certain kind/group of pods either internally to be connected from other pods or externally to the internet. Services are among the simplest entities to define. secrets are an entity that holds, you guessed it, secrets, such as passwords and API keys. In Kubernetes, we consume secrets by mounting them onto a pod, under a certain path, let's say /etc/secrets (could be anything). Then our DB_SECRET is stored as a string inside /etc/secrets/DB_SECRET. endpoints are an automatically managed entity. We normally don't need to define them ourselves because Kubernetes does it when we define a service, but there are exceptions, such as when we want a service to route to an external server which Kubernetes is not aware of. We will use this approach in our tutorial (hint: for wp-content). node is a physical machine or a virtual server on which a Kubelet is running. Kubelet is a Kubernetes worker process that communicates with its master about the state of the node, and all other entities. When our stack is up and running, all the pods are on worker nodes, master just keeps track of everything and delegates work. Like a boss. 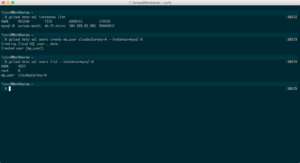 ingress is - despite its somewhat exotic name - a simple domain routing configuration object. With it, we tell Google's (or own) load balancer which domain should be routed to which service and port. Confused? Don't worry, it will all make much more sense soon! We will use Google Cloud to set up our Kubernetes stack, the primary reason being we don't need to take care of the Kubernetes master node ourselves - Google does it for us. Here, navigate to Container Engine and create your first container cluster; Feel free to name it whatever you like and pick the zone closest to you, but make sure to choose the micro machine type and leave the size at 3 nodes. In a real world scenario, we would, of course, choose bigger capacities. Also, note the image field, it says cos. It stands for container optimized os which is Google's Linux, specifically built for containers and based on the open source Chromium OS project. Click Create and wait a couple of minutes so that our cluster comes online. With our cluster setup, we now need to step back and consider our final stack a little. The challenge we're facing with WordPress running in multiple containers is how much (or more importantly, what) we want those containers to share and how. First, there's wp-config.php that is custom to every WordPress install, and then there's wp-content. In my opinion, it makes sense to bake the former directly into the image in a way that allows us not to have the need to touch it - ever. As I've shown you in the previous tutorial, we can make it read environment variables, rather hard coding values. The second part is significantly more complicated. We need all our containers to share the same wp-content, which means we have to set up a network disk on which that directory will be stored. 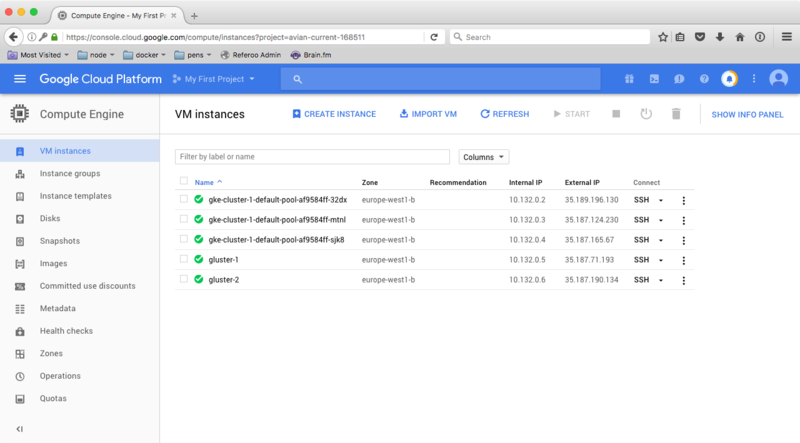 Luckily, there's a solution for that called GlusterFS which Kubernetes supports out of the box, and it's fairly trivial to set up! 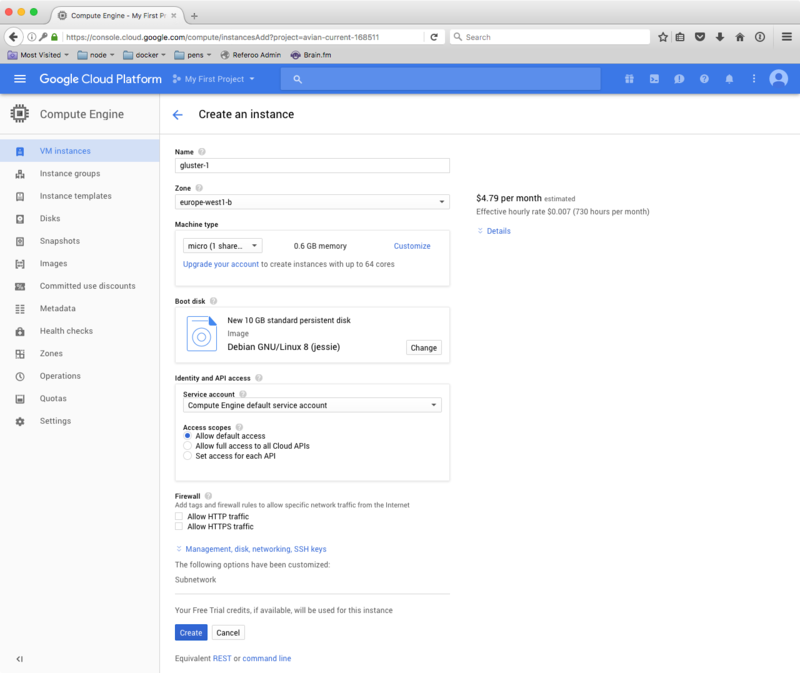 On the page with your instances listed, click Create instance and again, select the micro type of the machine and put it in the same zone as your container cluster. Name it gluster-1. 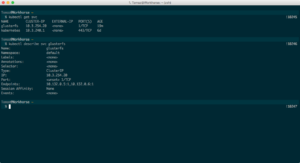 Create the instance and while it's setting up, create yet another, with exactly the same settings, but name it gluster-2. If you paid attention during instance creation from the previous couple paragraphs, you may have noticed the cost of each instance is roughly $4/month, which means this setup will cost us about $20 per month, which is not expensive at all! Granted, for production you'll most likely need more powerful instances, but you should be able to get the full stack up and running with less than $100/month. Yes, this isn't a setup for a simple blog, but when you need availability and performance, it's a reasonable cost. Now it's time to get our hands a bit dirty! To proceed, you'll first need to install Google SDK, which will let you connect to any of the instances through the shell. I won't describe setting it up here since the official documentation includes a step-by-step guide to get it running properly. $ gcloud compute instances list. and confirm the login in the browser. $ gcloud config set project your-project-id (you can find your project id by clicking the My First Project in the top navigation bar in cloud console). Now, open two separate tabs in whatever program you use to run shell, because we will configure both GlusterFS instances at the same time: In your browser, click the SSH arrow icon and choose View gcloud command, which you then need to copy into one of your shells, each instance into its own one. $ gcloud compute --project "avian-current-168511" ssh --zone "europe-west1-b" "gluster-1"
With GlusterFS installed, it's now time to configure it. It's worth noting that there is no notion of Master/Slave nodes, all servers are called peers since a client that mounts a GlusterFS volume can connect and read/write to any of them. 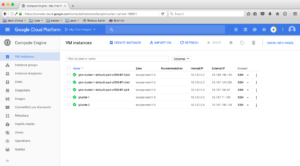 Let's go back to our cloud console and check the internal IP addresses of our GlusterFS nodes as we will need to connect them between one another. 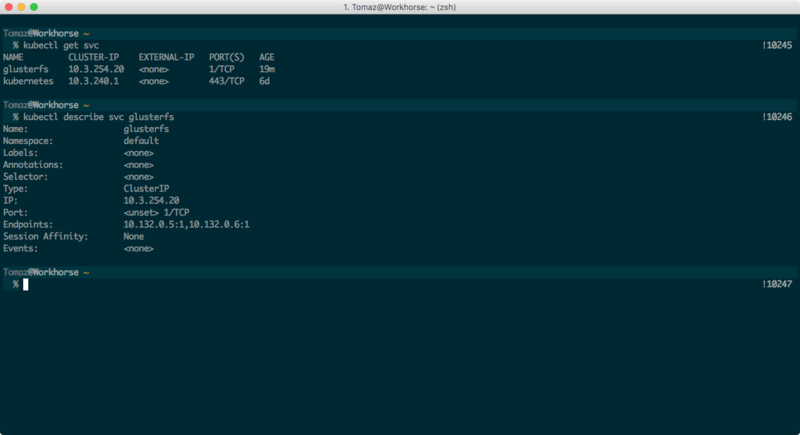 In my case, the IPs are 10.132.0.5 (lets call this node gluster-1) and 10.132.0.6 (gluster-2). We probed both instances between each other, meaning they are now aware of one another but don't serve any volumes yet, so let's do that next. Let's go through what we just did. First, we created a new volume, which is replicated across both nodes and used force parameter, otherwise GlusterFS would complain that it prefers to have volumes on external disks. Then we started the newly created volume, which means external clients can now connect to any of the two nodes to mount the volume onto themselves. 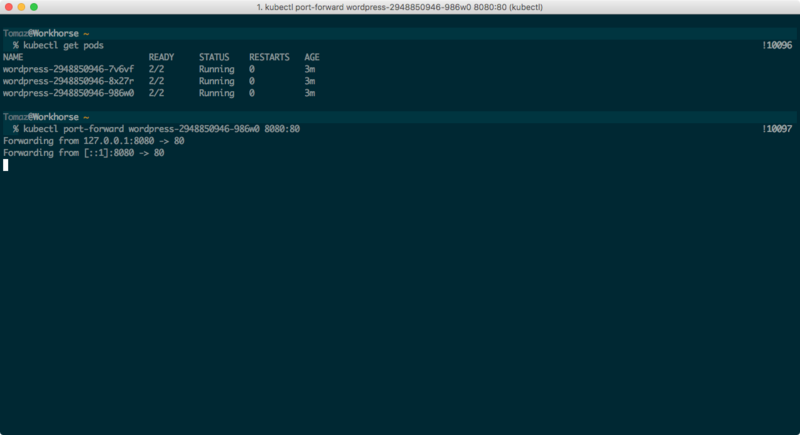 In fact, in step 4 we did just that, we mounted the volume through GlusterFS onto the node itself. (Note: don't confuse /data/brick1/wp-content-site1 and /mnt/wp-content-site1 - the former is what GlusterFS uses as it's filesystem, whereas the latter we just mounted to try out the volume, we could skip this step). Lastly, we created a test file on gluster-1 which should now also be listed on gluster-2 if we ran $ ls /data/brick1/wp-content-site1. You could now unmount /mnt/wp-content-site1, but let's leave it as it is, because it's this directory we will use as our wp-content (feel free to exit out of the shell on gluster-2 - you won't need it anymore). - $ mv wordpress/wp-content/* . - $ chown -R 1000:1000 . Note that in the future, if you need to make any adjustments on wp-content, this is the directory you will make them in and changes will be automatically propagated to both nodes correctly. Also, note we've set permissions to user/group that has UID/GID 1000 - that's because our WordPress image has www-data user and group set to the same ID, thus we avoid any possible permissions issues down the line. That's it, feel free to close the shell, our GlusterFS cluster is now properly configured and ready to be mounted into as many Kubernetes pods as we like! 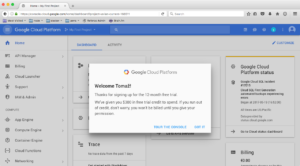 Luckily, Google Cloud comes with their hosted MySQL offering, which makes setting it up very straightforward, literally just a couple of clicks. 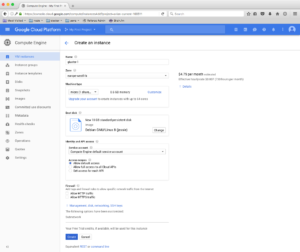 In Cloud console, navigate to SQL (click the hamburger icon on top right, if the menu isn't visible) then choose Create instance. 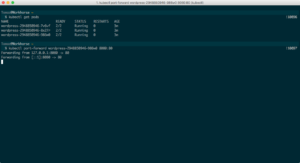 On the following page, select MySQL and then Choose Second Generation. Feel free to select the same type of machine as we did for all other services: db-f1-micro. As the interface will probably warn you, this machine isn't covered by Google's SLAs, but is perfectly fine for testing and development, which is what we're doing here anyway. 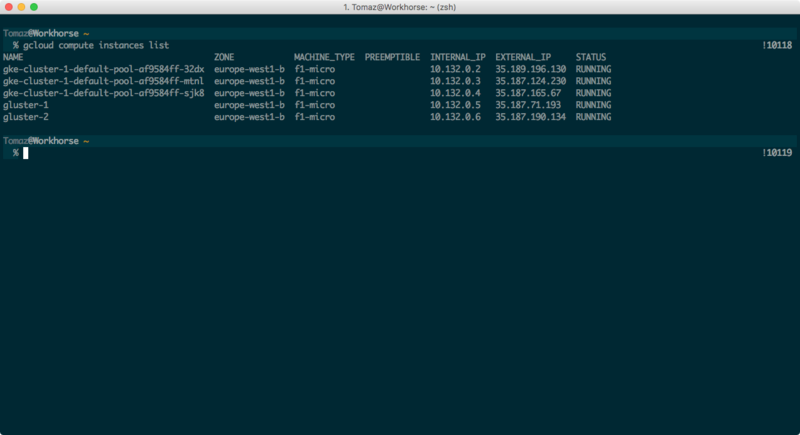 Choose the location of the instance in the same Region/Zone as your container cluster, to minimize network latencies. 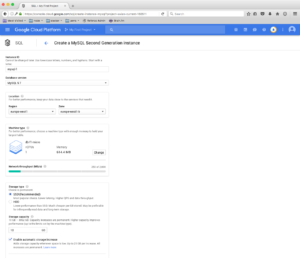 Google's MySQL supports failover replication out of the box, you just have to check the checkbox Create failover replica, but we will not use one for now - we can always come back and create it later, while the master instance is running. Finally, create a root password (don't forget to save it somewhere safe) for your MySQL and click Create at the very bottom. After a couple of minutes, your instance should be ready, so proceed to check it out by clicking on the instance name (mysql-0 in my case). There's nothing to do here for now, but you can return to this page, later on, to add a replica, do backups and check its performance. 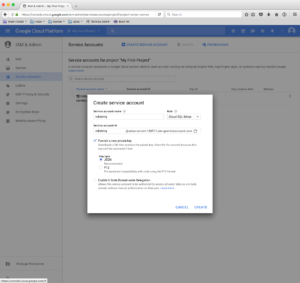 Before we continue with setting up Kubernetes, you only need one more thing: a Service Account. These are special types of accounts, used by services, rather than people, and come with some additional details, like private keys and roles. After clicking Create, a JSON file will be automatically downloaded; Store it somewhere safe, and remember where it is, because you will need it shortly. There's no need to grant any specific permissions because all users you define have access to all databases on the same instance. While this may seem like a bad idea, have in mind that this is an advanced setup and controlled entirely by you. We achieve security with other means, namely by using a proxy hostname (meaning no outside connection can be made to our MySQL instance) and a service account (meaning no fiddling with passwords). You're now all done with setting up MySQL, time to finally deploy our WordPress! For our WordPress to run properly, we first need to set up a couple of secrets, the most important one being MySQL access credentials. 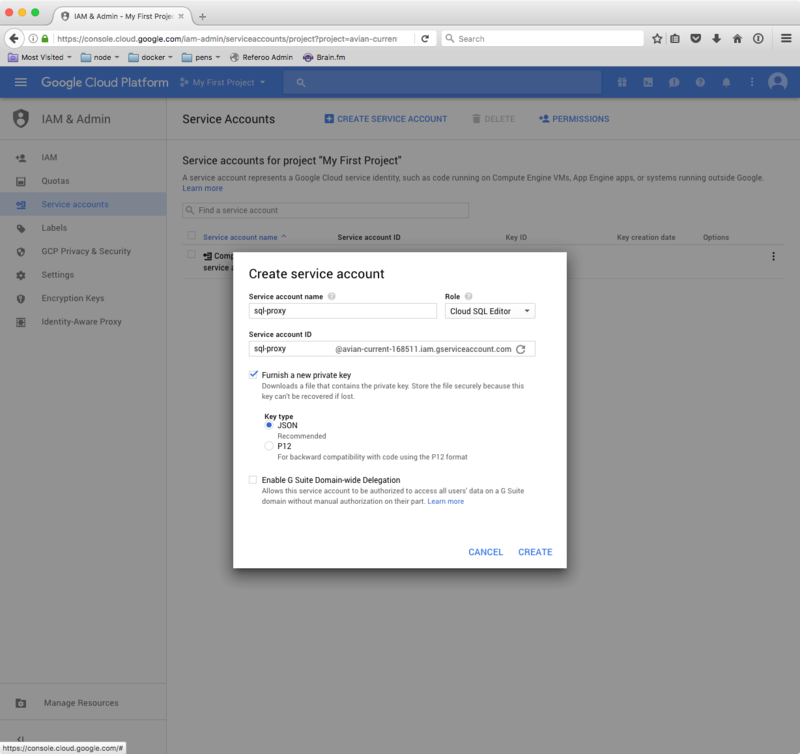 Remember the service account file we created earlier (named something like my-project-name-12345.json)? To verify your secret being properly deployed, run $ kubectl edit secret cloudsql-instance-credentials. This will open an editor (vim, most likely) with a single key in your data, called credentials.json and the value being contents of your original credentials file, base64 encoded. While this may look confusing at first, it makes sense. Like I mentioned earlier, when secrets are consumed by Kubernetes they are mounted into the filesystem as regular files, which Kubernetes decodes automatically, which you'll see how shortly. Close vim by pressing :q (colon, then q). The secrets we just created will be used by our CloudSQL proxy pod (explained shortly), but not our WordPress, so we need to create another set of secrets that WordPress can't run without. Namely, salts. Now delete it, you won't need it anymore and it contains sensitive data you don't want mistakenly shared or committed to a Git repo. 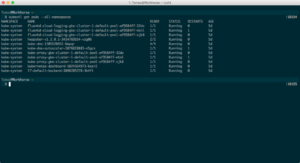 Before we deploy WordPress, we need a way to access our GlusterFS volume we created earlier. As per official documentation on services, we need to create a service without selectors and a corresponding set of endpoints. Don't worry about the port (1), it's just a placeholder port because services can't exist without defining one. While this file may seem a bit intimidating at first, updating it becomes second nature once you figure out what's what. Line 6: How many replicas (pods of the same type) we want to run on this stack, in our case 3. Line 9: One of the deployment's responsibilities is running any given number of replicas we define. Labels serve as Kubernetes' way to monitor pods' states. In our case it observes all pods labeled with app: wordpress. Line 10: When we deploy a new version of WordPress, how do we want the deployment to roll it out? We can either destroy old pods first, then create new ones, or we can do a Rolling Update, which deletes one pod, creates a new one with a new version and deletes one more old pod, again replacing it with one with a new version, and so on, until all pods have been updated. Most of the time, this is the preferred way, since we always have pods that are available to the internet, preventing any downtime during our deployment. Line 15: The template (and subsequently spec -> containers on lines 19 and 10) is the most important part of the deployment. It serves as a blueprint for all created pods. Line 35: livenessProbe is Kubernetes' way of checking whether our pod is properly running. If not it will prevent sending any traffic to it and attempt to restart it. Line 58: Our second container in this pod is created by Google for the purpose of connecting to CloudSQL, so feel free to read this document how it works. What's worth noting here is that containers in the same pod share logical localhost (don't confuse it with the host virtual machine that's running the Kubelet, though - it's still an isolated environment), which is why we're connecting to 127.0.0.1:3306 in our WordPress pod. Line 65: Which MySQL instance do we want to connect this pod to. To get it, run $ gcloud beta sql instances then $ gcloud beta sql instances describe mysql-0 (change mysql-0 with your instance name) and locate connectionName. Line 78: Here we define all the volumes that either of our pods want to consume. Here, you can see our GlusterFS volume and cloudsql-instance-credentials defined. Note how the name of each volume matches the one in volumeMounts on lines 54, 56 and 71? That's not a coincidence, so watch out for typos. Now, we can't access our WordPress though a domain or an IP yet, since we haven't exposed the pods to the internet, but we can still try it out! Run $ kubectl get pods, choose one of them (doesn't matter which one) and run $ kubectl port-forward wordpress-pod-name 8080:80. This will map pod's port 80 to port 8080 on your computer, so you can now open your browser, navigate to http://localhost:8080 and install WordPress! $ kubectl exec -ti wordpress-498979938-258sj bash will connect to the pod's shell, much like SSH. $ kubectl delete pod wordpress-498979938-258sj will delete the pod and, since we're using a deployment, automatically create a fresh one in its place. So what we need to do instead, is create a service, of a type NodePort. This type of services maps our container port 80 to all nodes in the cluster regardless if the container is on a particular node or not to an arbitrary port, higher than 30000. Save this file into your k8s directory, and run $ kubectl create -f wordpress-service.yml. To verify the service created the necessary endpoints, run $ kubectl get svc,ep. If you see something like the following screenshot, then the service properly routing traffic from nodes' port 31586 (in my case, your may differ) to the pods' port 80. So how do we now expose them to the internet? We'll use what's called an ingress. Similar to a service, ingress instructs Kubernetes master how to route traffic, the major difference being that ingress is responsible for mapping external traffic, based on a set of rules we define. in our DNS settings (with our domain registrar), we need to create an A record, pointing to the IP that Google allocated to ingress. Run $ kubectl describe ing wordpress and find a field, named Address. Since we installed WordPress through port-forward earlier, WordPress will most likely want to redirect us to port 8080, which won't work. So edit the deployment ($ kubectl edit deploy wordpress) and add two new environment variables (somewhere around the line 45 in our wordpress-deploy.yml file): WP_SITEURL and WP_HOME, both should be set to the final domain (including http://). 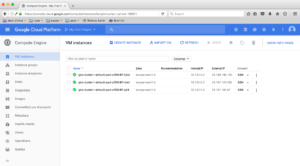 Save and quit the file to update deployment and give Kubernetes a couple of seconds to deploy a new set of pods with these new settings in place. Our whole stack is now properly configured, and we should be able to visit the domain in our browser to see our shiny new WordPress installation up and running! 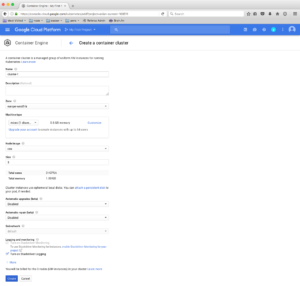 We're pretty much done, but let's explore in our Google cloud dashboard what just happened. 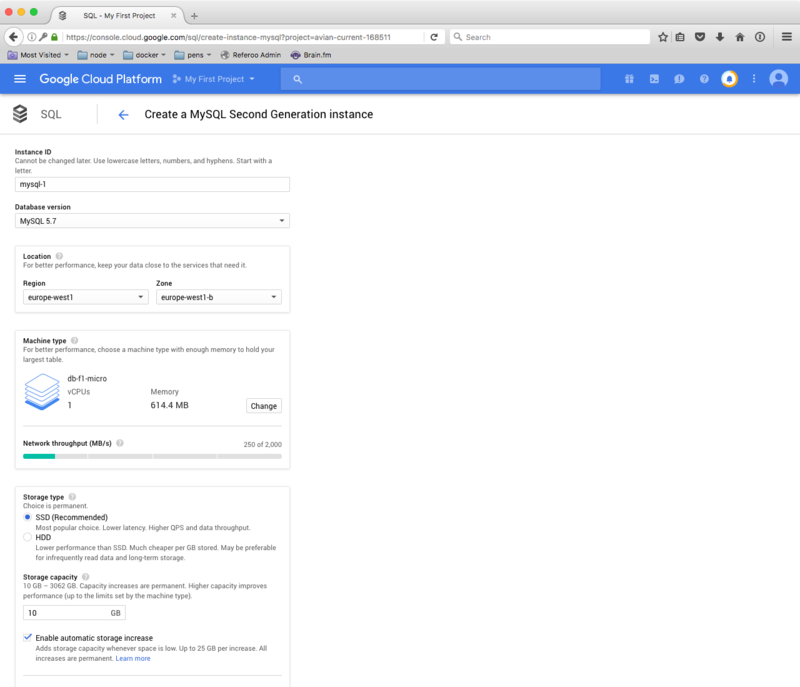 I encourage you to edit this load balancer configuration and click around a bit to get a feeling how things fit together - I won't explain it in details here as this tutorial is quite long as it is, and Google's official documentation can be a good source for further learning. Also, if you'd like to keep this new IP that Google has allocated to the ingress, visit the external IP addresses page and change the IP from Ephemeral to Static. Now that our stack is fully up and running, adding a deployment that takes care of our SSL termination and registration of certificates only takes a couple of additional commands. We will use Kube-lego for both of the tasks since it's a widely used and battle-tested approach to handling certificates on Kubernetes clusters. The first thing we need is a ConfigMap. In Kubernetes, ConfigMaps are used, as the name suggests it, for configuration. The "map" part of the name stands for combinations of keys and their values. Since Kube-lego by default uses Letsencrypt's staging servers, our configmap needs to include the production server URL and our email address. You should see a pod named kube-lego-1702644611-9hnt0 (the last two strings will be different for you). Now for the last bit, we need to modify the ingress we created earlier to let Kube-lego know which domains we want certificates for. Run $ kubectl edit ing default. This will open your preferred editor with our original ingress significantly modified by Google (there should be a bunch of additional annotations in). Two new annotations: kubernetes.io/ingress.class: gce and kubernetes.io/tls-acme: "true"
Save the file and exit. Since our Kube-lego pod automatically observes our ingresses, there's no need to do anything else, it will pick up the updates, request the necessary certificate from Letsencrypt and reconfigure the load balancer on its own. I've been getting a lot of requests for this article and I'm thinking of organizing a live webinar/session in which I will stream this whole process. Let me know if you'd be interested in participating in the comments below. Thanks for the excellent run through! 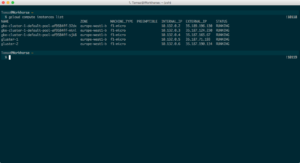 I’m currently using Docker on OSX for my local WordPress development, and deploying using Capistrano to a shared host. 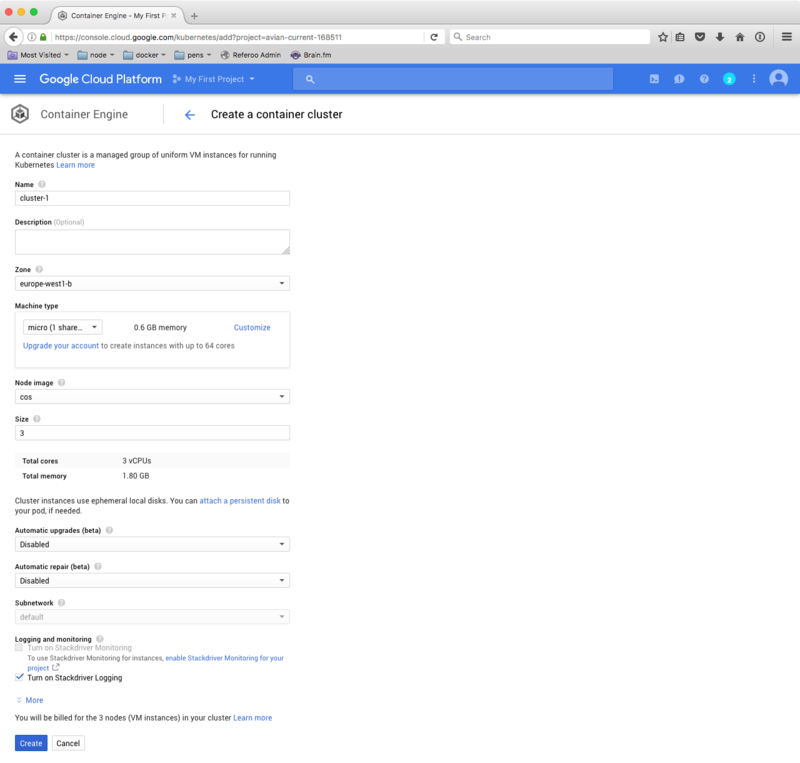 Do you have a link to any information on how to do the actual deployment process of my code and containers to Google Cloud? Solved: you get that error if your gluster VM is based on Debian GNU/Linux 9 (stretch) instead of Debian GNU/Linux 8 (jessie) as specified in the screenshot. Great run-through, especially thanks for providing debugging info. I couldn’t have asked for a better introduction to these systems and tools. At the risk of robbing someone the educational experience of flipping a bunch of switches in the control room to troubleshoot a terse database authentication error, I’ll add that if you see an inexplicable authentication issue in the cloudsql-proxy container logs then one thing to try is generating a new service account, but selecting only Cloud SQL Client and NOT Cloud SQL Editor permissions. 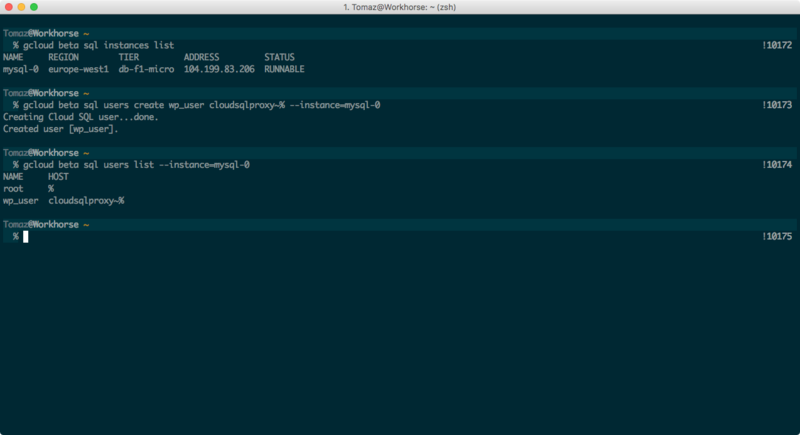 One of their example tutorials specifies it this way for setting up a similar cloudsql-proxy and it resolved my issue.